Wintersweet, a genus of strongly scented flower bloom in severe winters, symbolizing noble and unsullied spirit, highly appreciated in Chinese culture for their endurance. Wintersweet Studio intends to create magical and unconstrained animation, portray beauty and express free will. Tingting Liu is a female independent director, animator, artist and designer from China, now working in Hollywood movie industry. Contributed in many awards-winning animation movies including The Peanuts Movie, Ice Age: Collision Course, Rio2, Epic, Cars 2 of several world-renowned animation studios as Pixar Animation Studio, Blue Sky Studio. Tingting currently is working at Laika Studio as facial animatior. Tingting Liu finished the critical acclaimed Kubo of Two Strings, and now working on Laika’s next film project. Other than feature films, Tingting Liu also worked in various commercial animation productions for Top 500 global enterprises including MacDonald’s, Fisher-Price, 20th Century Fox World at Malaysia, Western Union and Cinemark. Screened world-widely in a number of movie festivals, her independent short film projects also got international recognition. 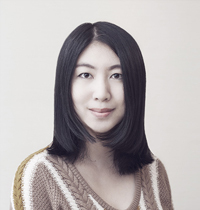 Tingting Liu is an ASIFA pro member, and an active member of Visual Effects Society. After four-year BA study of graphic design in the Academy of Art and Design of Tsinghua University, she got an MFA degree of animation from Savannah College of Art and Design.